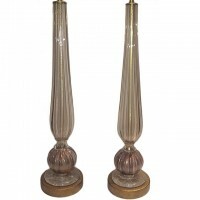 Pair of circa 1930's Italian onyx table lamps. 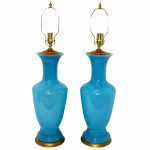 Pair of large French 1940's large opaline glass table lamps with gilt bases. 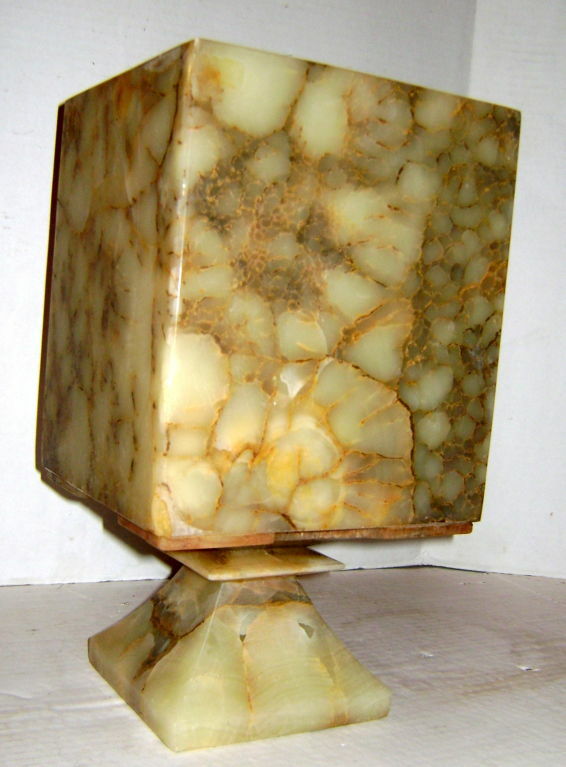 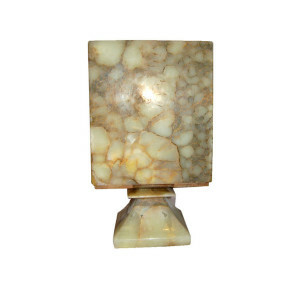 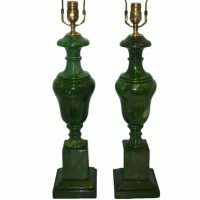 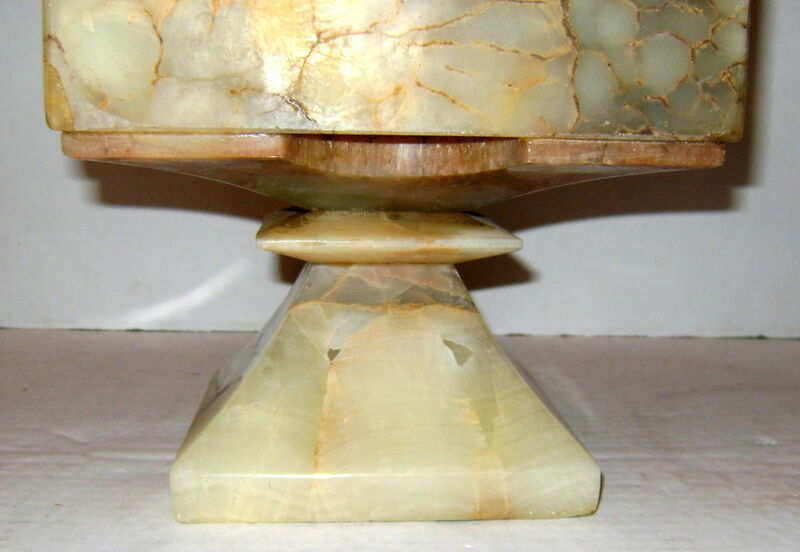 Pair of 1940's Italian green alabaster table lamps with Baluster shaped pedestal Measurements: Height: 19.75" Second Height: 30.75"
Pair of French circa 1930's Empire-style tole and bronze lamps. 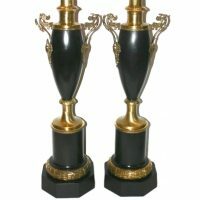 Measurements: Height of body: 25" Height to shade rest: 37"